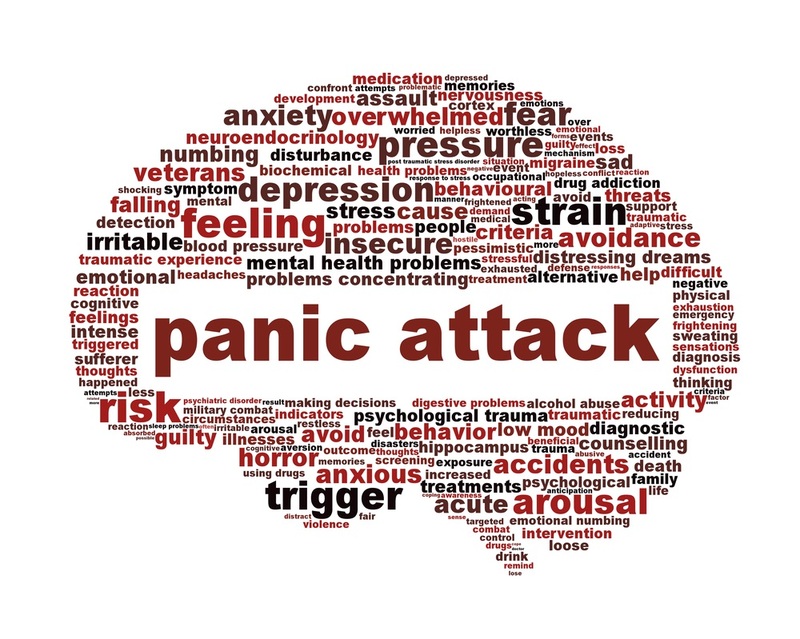 Anxiety or Panic Attacks are real things and are not fun. These attacks are intense periods of fear or feelings of doom developing over a very short time frame. For alot of the baptized, these anxiety attacks come when they desire to go to church. Many people avoid church for many reasons, or close up while at church, due to feelings of doom developing. Why would anyone ever fear going to church, hearing the Gospel, being forgiven their sins, and feasting on the Body and Blood of Jesus? Why would church be a place that causes anxiety? Well, because its church. It is the holy ark in which you are kept safe from the drowning flood waters of sin and the temptations of this world. The church is the place in which you are acquitted all of your sins, forgiven absolutely and unconditionally of all your debts you owe to God. Church is the place in which you sing of the good things God gives to you in this life and in the one to come. Church is the place in which you are given forgiveness by God, and in this, you have joy, peace, and an unburdened conscience that desires to unburden others as well. Church is the place, the people, gathered around not bad news, but the good news that Jesus has died and is risen for our salvation. So, why would going to church be something that causes anxiety and panic? Why would people either change their demeanor, shut down, or completely stop going to church? Well, because there is someone who doesn't want you going to church. The devil, the world, and your Old Adam do not want you to be forgiven and hear of the love you have in Jesus. The devil works on you, tempting you with a million little reasons why you shouldn't go to church, and with a million little things that are more enjoyable and less stressful than sitting in the pew and being fed the food if immortality. The devil will make preparing for a church an exercise in stress, rather than a joyful anticipation. Yes, it may not be like this for everyone, and maybe not even for you. However, many people are stressed as they enter the walls of their church. The devil would make you rather sleep in, go to the store, go on a weekend vacation, or pretty much anything else than being absolved and singing the hymns. The devil wants you to be so stressed about going to church that you will despair and give up. The devil crushes any notion of going to church and being prideful about it. In the midst of our anxiety and worry, we despair of ourselves and live in doom. It is in the midst of this despair and terror that our conscience hears the voice of Jesus as the only voice that heals and offers any security and assurance. That is what calms us down during a panic attack. It isn't being told,"Calm Down. Stop worrying. There's nothing to worry about." No. The only things that calms us down is being overcome by a sense of assurance and comfort. The only things that slows the heart rate down is something more calming overcoming that which made our heart rate sky rocket. Jesus' voice is the only one that silenced the devil and puts the Old Adam back in his place. So, when we are anxious and when we know that others are anxious about church, what should we do? Well, take Saturday and pray more, spend more time in the Word, and tell the devil that you know his game and it isn't going to work this time. Let us take time to pray for those who no longer come to church because of this anxiety and for those who change faces just to survive the trip to the congregation. Let us comfort one another with the absolute assurance that in the Divine Service you are not being condemned by a wrathful immortal, but comforted, forgiven, and saved by your merciful God and Lord Jesus Christ. Peace be with you. May the devil be silenced, the world be hushed, and the Old Adam drowned anew so that you hear only the peaceful voice of your Savior Jesus who says, "I forgive you. I love you. I claim you as My own forever" Amen. We would say ‘bring in an empty bag so that The Holy Spirit can fill it up with the gifts of the Truth. THEN, come back next Sunday with your bag empty... He will fill it again.